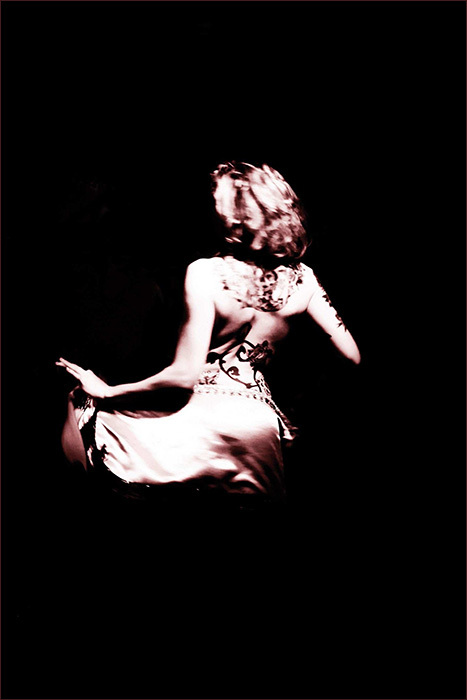 Sometimes I cast the old mind backwards and wander where all this interest in and being drawn to an Afterhours-esque take on the world comes from? 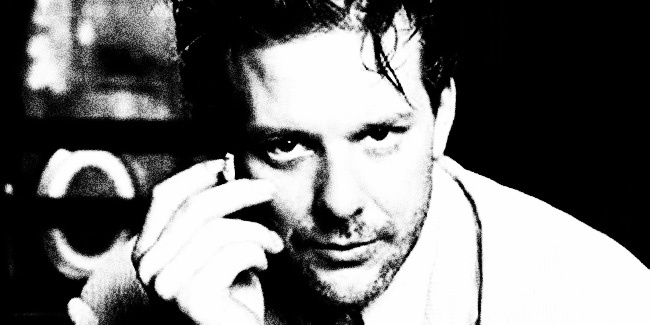 Whence wandered an interest in a re-imagining of times gone by, noir-ish shennanigans, far-too-late-night-bar suave but weary adventures and the like? 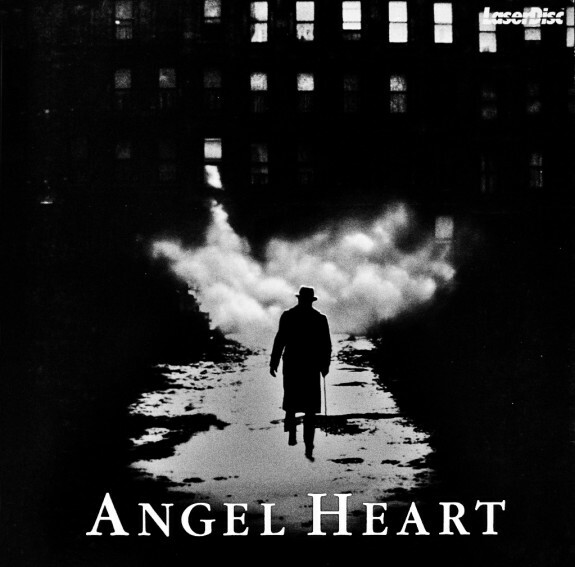 I have a suspicion that the 1987 film Angel Heart may have a touch to do with it. Although it’s now a fair few years since I’ve seen it if I think of the film, well, I tend to think of a crumpled but suave, good liking hero (I use the word loosely there), a certain kind of smokey, textural, noirish textures and atmosphere, an almost palpable sense of the character, sweat, soul and atmosphere of the South, a haunting jazz soundtrack, convoluted hidden stories. This was probably one of the first times that I’d come across such a heady mix and it seems to have stayed with me over the years. 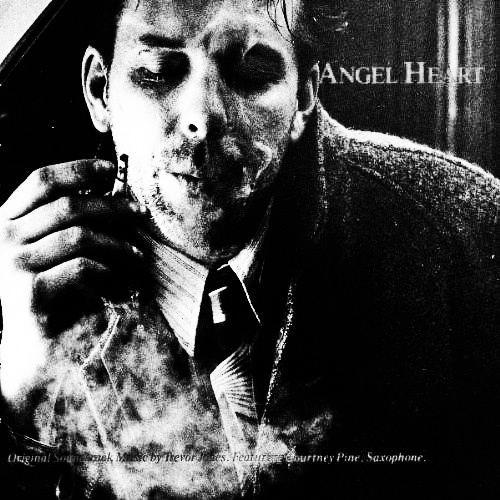 There are a couple of classic/more well known posters/video covers that have accompanied Angel Heart over the years in the west but (as I’ve mentioned around these parts before) I have something of a soft-spot for the designs, posters etc that accompany films over the years and in different places. 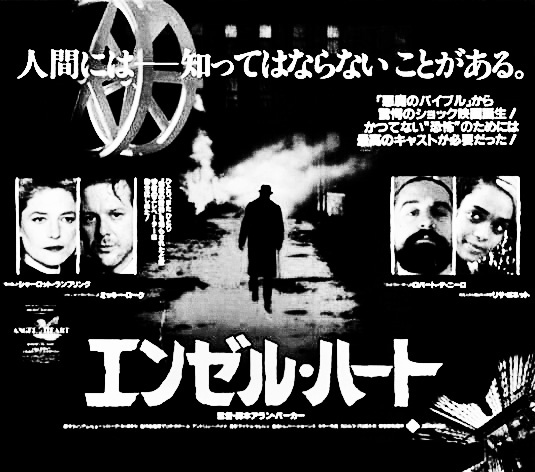 I’d accompany that particular soft-spot for one with obscure and/or semi-forgotten forms of media, so with that in mind, above is one of the laserdisc covers which has intrigued me – it takes Angel Heart much more overtly into horror or demonic territory – more overtly black-ridden tales than it’s Southern, noirish aesthetic side.